Women should know their place. For a very long time, they simply didn’t. 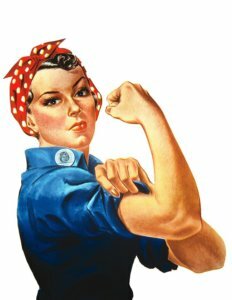 Through fearless sacrifice and advocation, support by men and women brave enough to stand for equality, and tireless work on all sides, women are now recognized and respected in nearly every field of work available. With help from organizations like NAWIC and the unwavering support of employers who believe in them, women are able to be heard, and to make a real difference in a field that literally changes the face of the world. 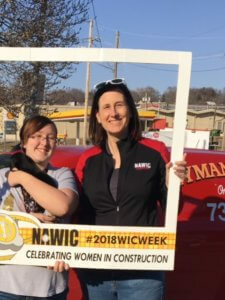 March is Women’s History Month, and we wanted to take a moment to recognize the history in the making taking place through NAWIC, and our own Karli Meisinger, who is NAWIC’s local chapter president. 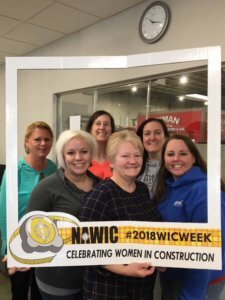 NAWIC, or the National Association of Women in Construction, is an organized effort to improve the position of women in the construction workforce. Through education opportunities, advocacy, and support, the core movement of the association is to enhance the success of women in the construction industry. Their goal isn’t to stand on a podium and preach to women about what they should be doing, rather, these women live and work in the field, coaching, mentoring, and lifting one another. Karli and the local team stay ahead of every opportunity to engage within the community, as well as on the national level. While you hear statistics about the wage gap and the lack of equal pay for equal work, the construction field has one of the narrowest pay gaps nationally, with women taking home an average of 95.7% of what men take home. While the pay gap is narrow, women comprise a mere 9.1% of the construction workforce. NAWIC hopes to create an awareness of opportunities for women through networking events, conferences, and small events like “take a young woman to work day”, for which Karli brought her young niece, Kiera. Karli knows that every event matters, because every voice matters. Each outing and workshop is an opportunity to reach one more change maker in the making. The chapter started small, and has continued to expand through workshops, local events, and education opportunities. 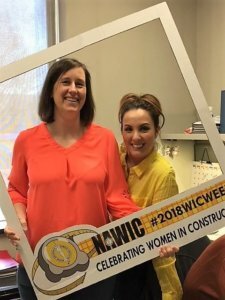 March was full of events celebrating the accomplishments of women, with one very special week dedicated to the work of Women in Construction. The women used this opportunity to do what they do best, be the change. From signing a proclamation at the Capitol to volunteering their time at the local food bank, they were seen, heard, and their impact felt by a community that is deeply grateful for their contributions. Eyman is proud to support NAWIC, and for a future designed around open communication, outreach, and opportunities for all!